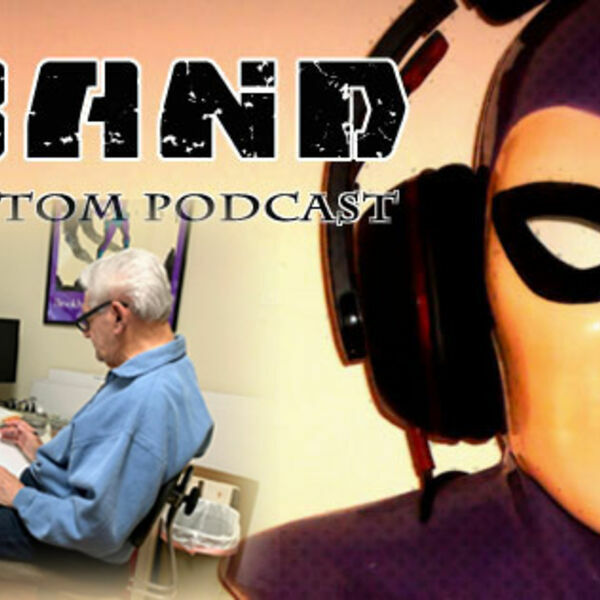 In a very special X-Band: The Phantom Podcast, the ChronicleChamber team are once again privileged to be joined by living legend Sy Barry. As any self-respecting phan knows, Sy Barry drew The Phantom Daily and Sunday newspaper strips for 33 years from 1961 to 1994. It's been two years since we last spoke to the great man for a podcast, back in December 2016, episode #53. Sy is as vibrant and generous with his time as ever. We embark on a wide-ranging conversation covering his career in the comics industry, with a particular focus on his time with The Phantom. It's fascinating listening as Sy recounts stories of the artists and creators he worked with over time, including memories of the legendary Stan Lee. He also reflects on many of the assistants he had during his career on the strip. A number of Patreon questions are answered, Sy lets us know what he really thinks of the phans that come to see him at Comic Conventions, and we make a sneaky suggestion for a piece of merch that Sy embraces pretty quickly! It is genuinely disappointing that the video recording of this chat failed, but thanks to Sy's son David, we do have some video to share with you soon - keep an eye on our YouTube channel! We know you'll enjoy this chat with the man who has provided us all with so very much happy Phantoming over the years.